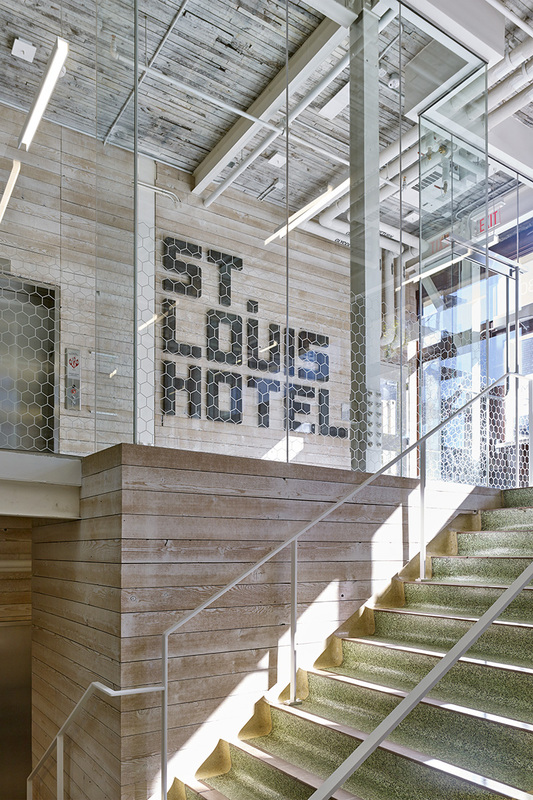 The St. Louis Hotel has been a landmark in Calgary since 1914 and was designated as a Municipal Historic Resource in 2008. The brick, timber and steel-framed building sat empty for many years until CMLC undertook the redevelopment of the building into leasable space in 2014. 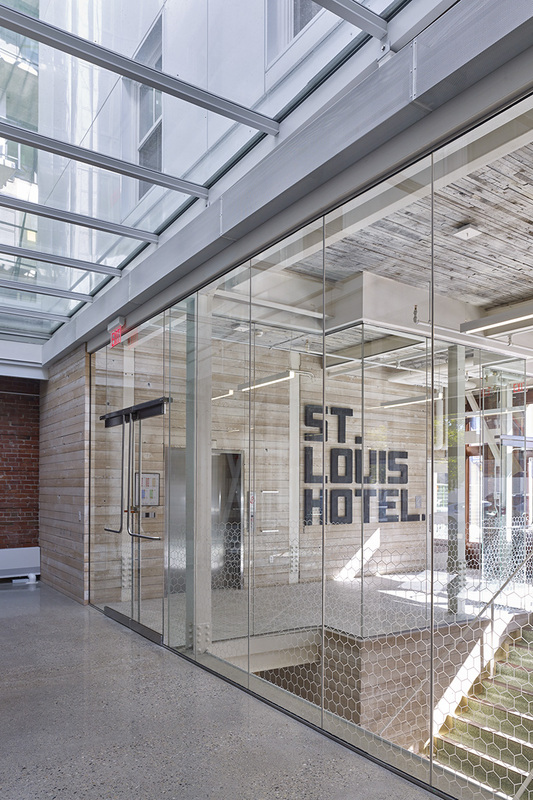 Nyhoff Architecture led the conservation and adaptive re-use of the historic hotel. 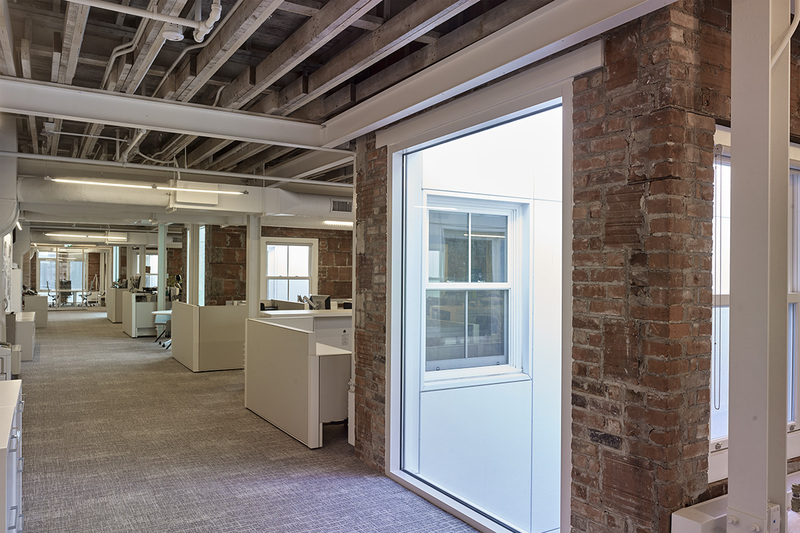 To extend the life of the building by another 100+ years, the edifice was fortified with a new steel structure and concrete floors while the heritage floors and ceiling were maintained. 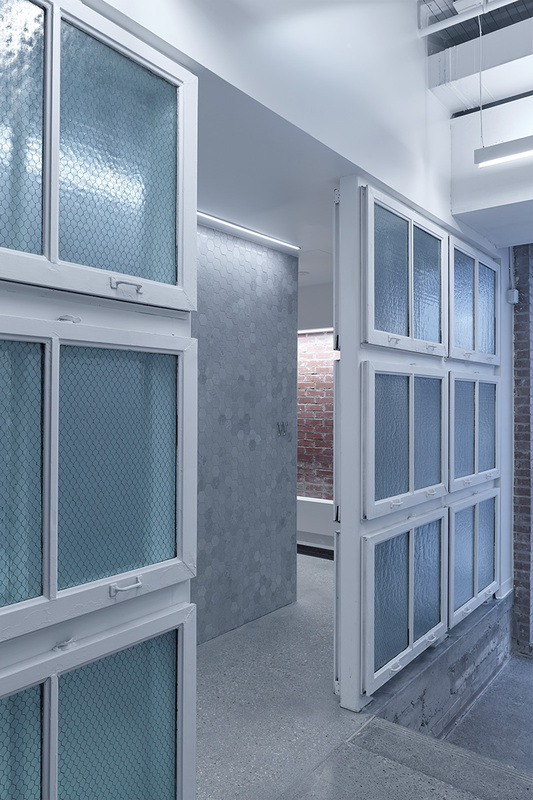 The building has been opened up with re-constructed light wells to enhance the leasing opportunities on all above-grade floors of the character building. The St. Louis’ front façade mimics the style of the façade installed in 1949. 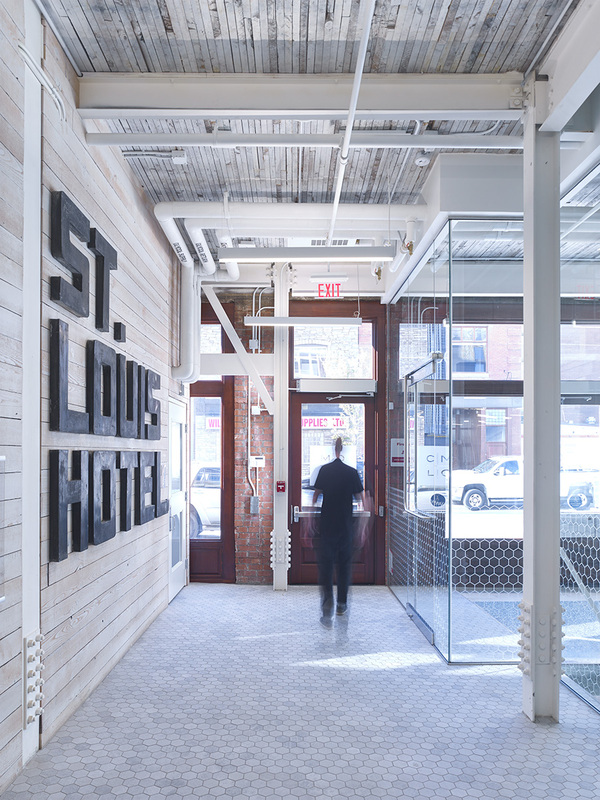 Exposed brick, mechanical, electrical and structural elements evoke the original building’s rustic feel. 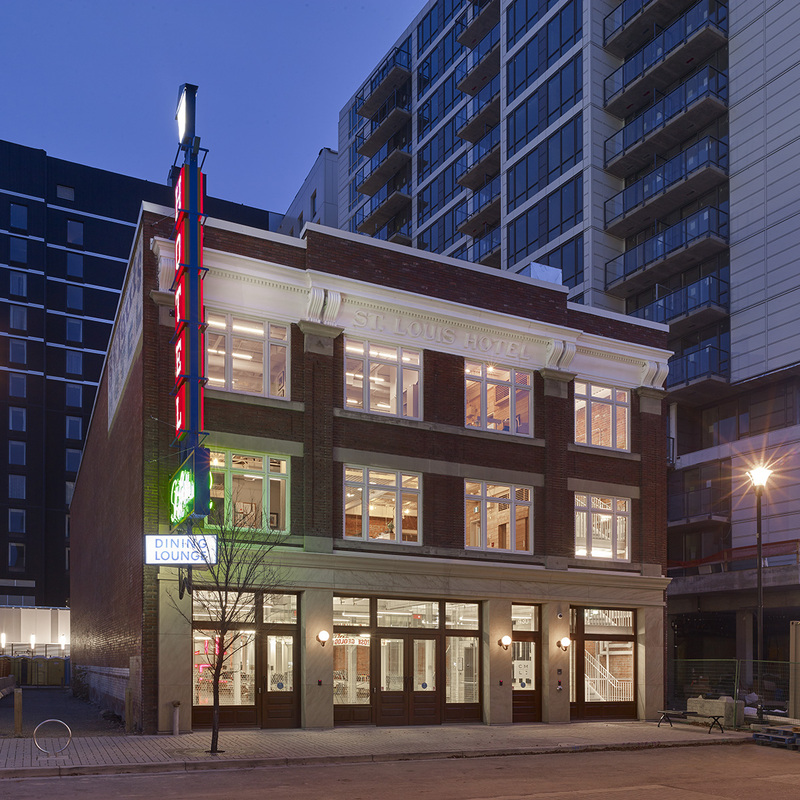 The restoration project was completed in July of 2016 and opens a new chapter for the historical asset as a key component of the 8th Avenue gateway connecting East Village with the site of the New Central Library. 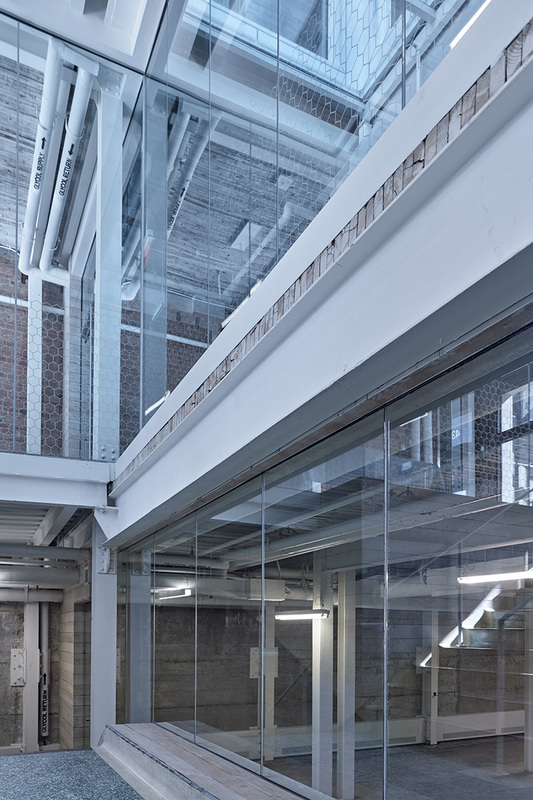 The space further enables the retail vision for the neighbourhood with mixed-use office space on the second and third floors and a variety of potential retail options on the main floor and basement. Challenge: The existing building’s wood structure was found to be in significant distress after 100 years of renovations and modifications. Areas of the floor were unsafe to walk on and in a state of near collapse. Solution: To create a high-end, leasable space, it was decided to re-construct the interior structure of the building using a new steel frame. 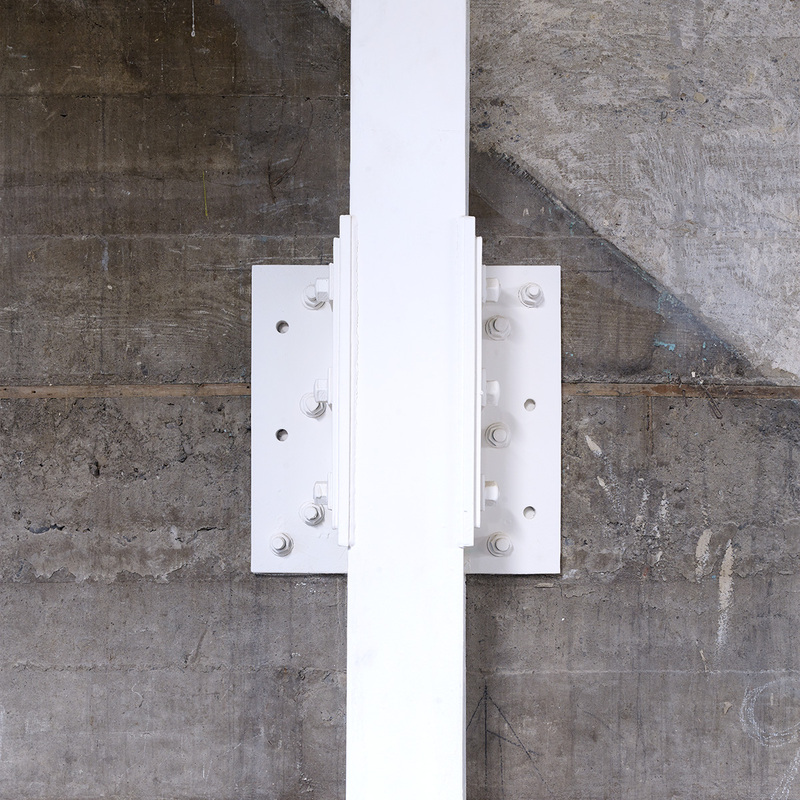 The frame was designed to integrate with and mimic the existing structural steel in the lower levels of the building. This solution allowed for the intallation of new concrete slabs over the old mill floors, which resulted in the appearance of solid wood flooring overhead as a ceiling finish, but solid, flat concrete floors underfoot. 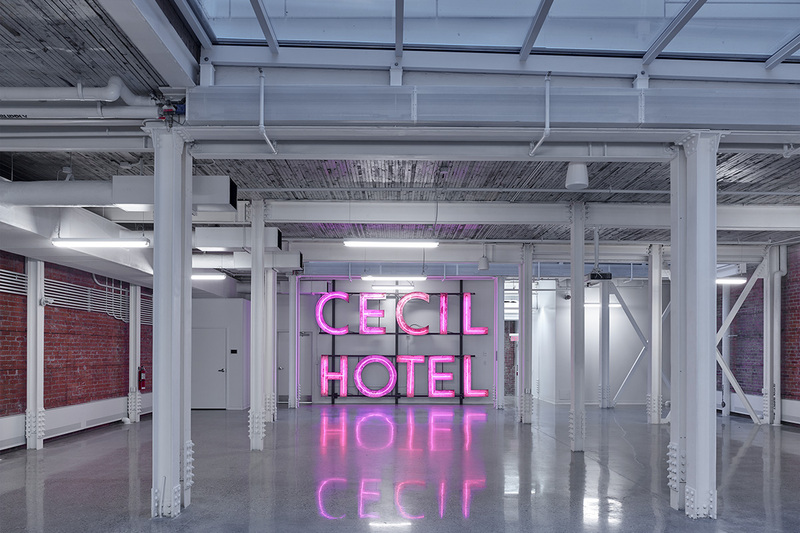 Challenge: In order to open up the floor spaces at the basement, main, and upper levels, all of the interior walls that formerly formed the small hotel suites were removed from the building. Removing the interior walls eliminated all of the inherent lateral stability of the building in the east-west direction. Solution: The lateral stability of the building in the east-west direction was reinstated using a new, structural steel frame. The steel frame supports the floors through the addition of x-bracing in each of the four wings of the building, extending down to the foundations. These braces continue the exposed structure theme of the building’s design.